We invite you to visit West Portal Elementary School. Our school tours are the best way to get a feel for the school and learn important information. We love welcoming families to our kind and caring community. We offer guided tours most Thursday mornings beginning at 9am from mid October until the time of the January SFUSD application deadline. Tours are led by our Principal. Parents Club representatives are also present to answer questions, and you’ll have a chance to see our kindergarten classes, school facilities, and more. We will post our tour dates and sign-up this fall. Our West Portal One-Pager provides an overview of our school and programs, and our Inclusion Flyer provides more in-depth information on our long-standing commitment to inclusive education. Hard copies of both will be available at your tour. We are a 2014-2015 California Distinguished School. 592 K-5 students attend our school. Approximately 1/3 of our students are in the Cantonese Language Immersion Program (CIP), while 2/3 are in the General Education Program (GE). For Kindergarten, there are 33 CIP spots and 66 GE spots (99 total available seats). Our start time is 8:40am. We have onsite extended care available before and after school as well as several after school enrichment options. 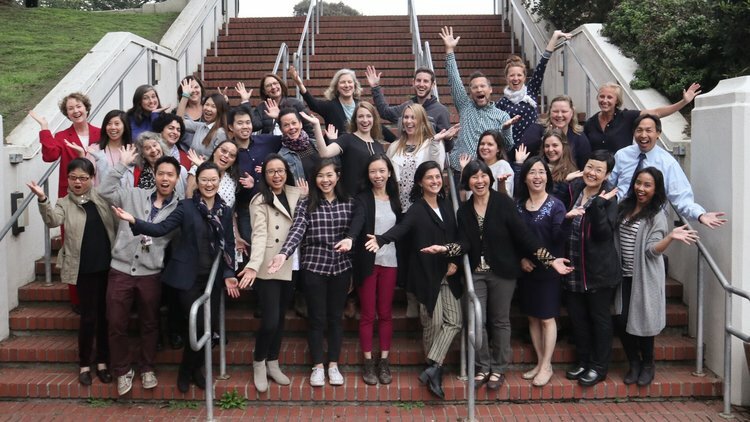 Our two-way Cantonese Immersion Program (CIP) was the first in the US and became a model for many other SFUSD schools. Our unified Parents Club includes all parents and guardians of students enrolled in both the CIP and GE programs. The Parents Club funds academic supplements, technology, community events, and much more. More information about the programs we support is available on our Ed Fund page. Our robust outdoor education and garden area (with resident chickens) was built on a former parking lot. Unique to our school are the award winning Chinese Performing Arts Program and school wide Spring Musical. Our curriculum includes Garden Science, Science partnership with SF State, Music Makers, fine art, opera, poetry, and a full time library program. Our students are equipped with new technology (Promethean "smart boards", mobile tablet carts, classroom computers) to enhance learning, help teachers create dynamic lessons, foster collaboration in the classroom, and prepare students for computer-based standardized testing. West Portal Elementary prioritizes social emotional learning alongside traditional and innovative academics. This past year we achieved our highest SBAC test scores to date! Please refer to the SFUSD website for enrollment deadlines and other information about the application process and Enrollment Fair. Our public Facebook page is a good way to get a sense of what's going on in our community a bit less formally. Should you have any questions about school tours, please call 415-759-2846 or email schooltours@westportalschool.com.